Raising the game and elevating style with adidas Alphaskin. 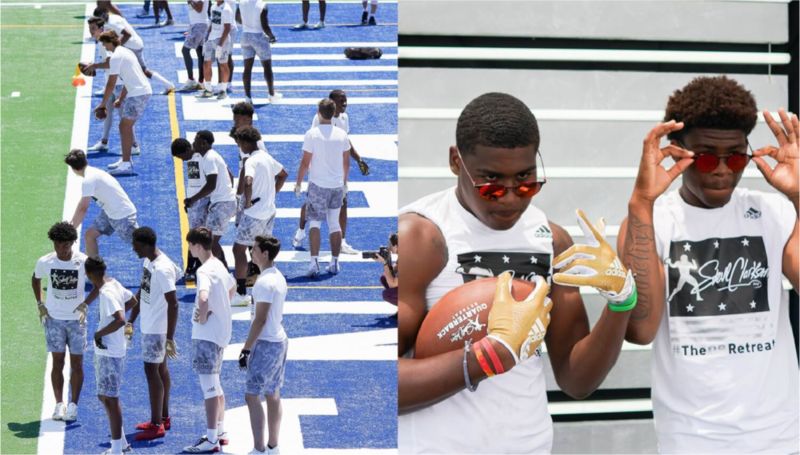 The adidas Training and Athletics Alphashin tour was a phased tour designed to target the nation's top high school athletes across five elite events. adidas partnered with Archrival to bring their training gear to top athletes and introduce Alphaskin. Alphaskin is a revolutionary new base layer featuring kinetic-wrapped construction designed to move naturally with an athlete’s movements and not against them. To help tell this story across the events, we developed a one-of-a-kind adidas Training and Athletics experience. The experience showed next generation athletes the two sides of the brand, the sport and the style. Raise your game and Elevate your style. To raise their game, we created a Kinetic Photo booth to illustrate the freedom of movement of Alphaskin. This booth produced a stylized image asset to be seamlessly shared across social channels. To elevate their style, we paired the kinetic booth experience with a dynamic Creator Station. Players were given the opportunity to customize seed adidas hoodies with embroidery and event-specific patches. In the end, the experience told the two-sided training story and connected adidas and Alphaskin with their most coveted consumer, the elite high school athlete. Assets: Portable Photo booth design, messaging, product customization.